Tales from the Real OC (Really! ): Children's Choice Book Awards! Just a quick note to remind you that today is the last day to vote for the Children's Choice Book Awards (BLUE MOON is a finalist!) 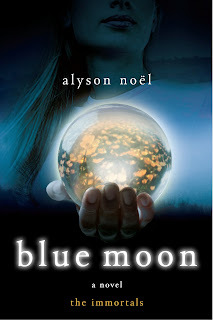 for Best Teen Book of 2010--and all you have to do to cast your vote, is click HERE! I really loved this post, Alyson. Your books are very interresting. Thanks Vitor MP & amigo! Hello, My name is Luana.I have 22year and I'm Brazilian and I do not speak English nor write, but I wonder when I will read the second book in the series the immortals? They are anxious, desperate, so I am counting on the help of google translator so I could communicate. Note: Excuse the errors of translation. Hello, My name is Luana. I'm Brazilian and I do not speak English nor write, but I wonder when I will read the second book in the series the immortals? Thanks Anonymous! Maybe someday Hollywood will agree! best book in the world!! !